's 100% Vegetarian Jellies are made with natural fruit flavours that taste great! 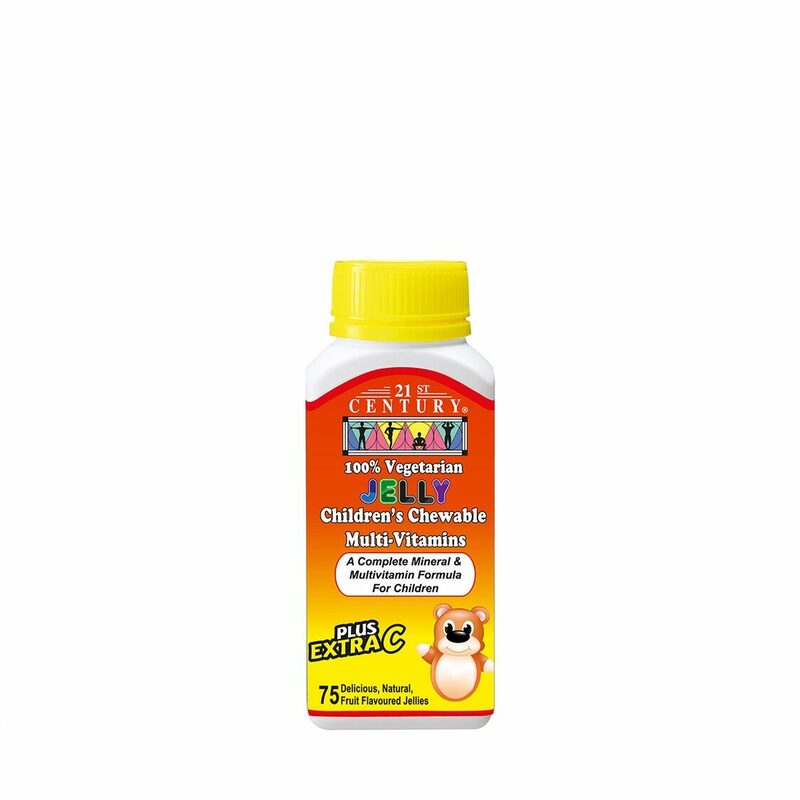 Parents, you can be sure that your children will be getting a complete multivitamin formula and valuble nutritional support with each delicious serving. Vitamin A helps to promote growth and development of tissue, bones, skin, and eyes. Vitamin B helps metabolism and health circulatory and nervous systems. Vitamin C promotes health muscles, skin, and provides immune support. Vitamin D is good for the development of bones and teeth and helps with the absorption of calcium.